Colour your world with craft! Our colour wall range of products are ideal for decorating themed crafts. Perfect for Book Week, school productions, projects and general crafting fun! 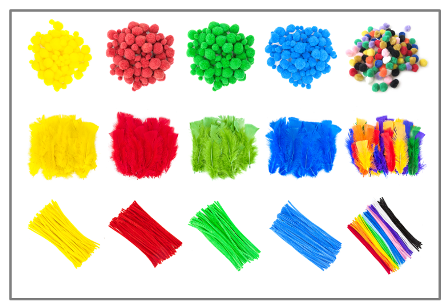 Pom poms, feathers and chenille stems in a wide variety of sizes and colours. Gluing power that packs a punch! Mee Mii sparkling in store now! NEW RANGE you are SURE to love!